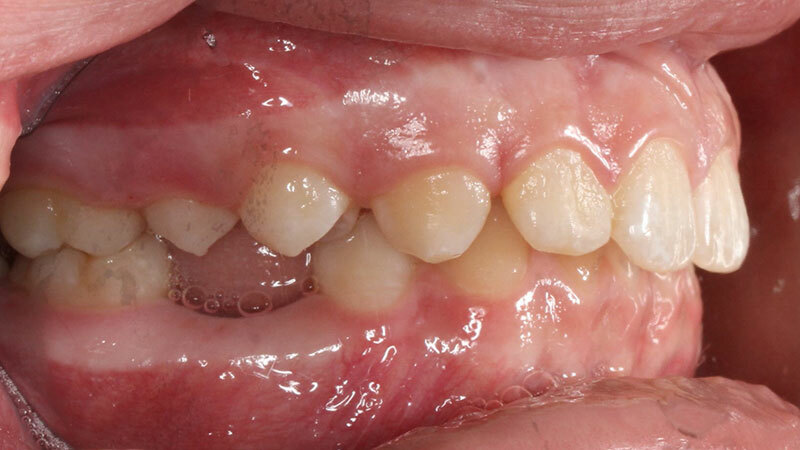 Patient wanted treatment because she did not like her top two front most teeth and how they pushed on her lip when she closed her mouth. 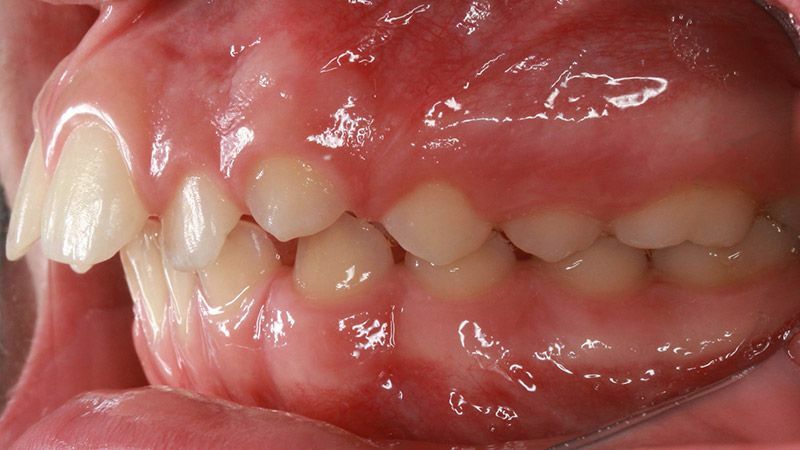 Other concerns upon clinical exam included a deep overbite, mild upper crowding and moderate lower spacing between her teeth, lower front teeth that were tipped forward, and a large distance between her upper and lower front teeth; so large that she had trouble closing her lips together. 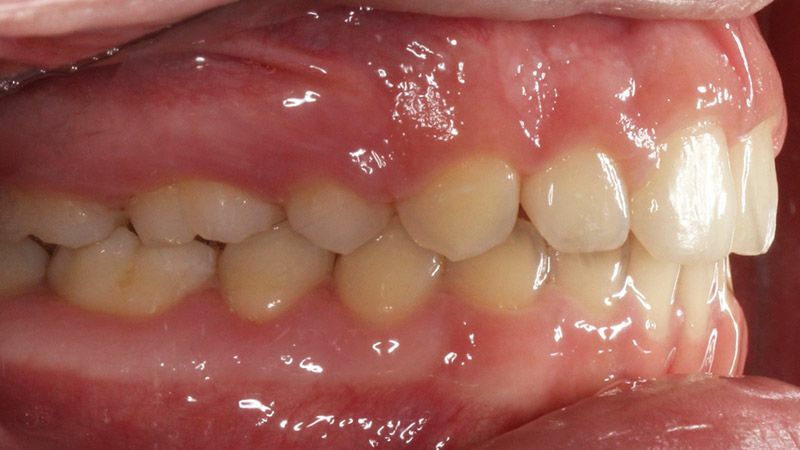 Patient benefited from braces and removal of two upper first premolars to close the distance between the upper and lower front teeth. 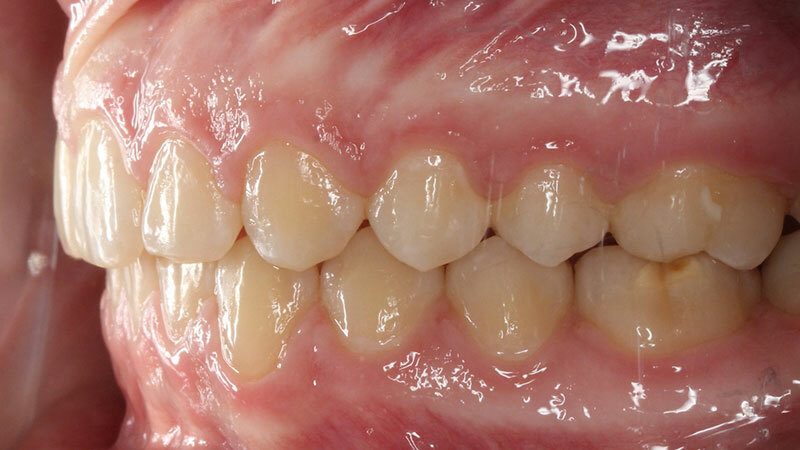 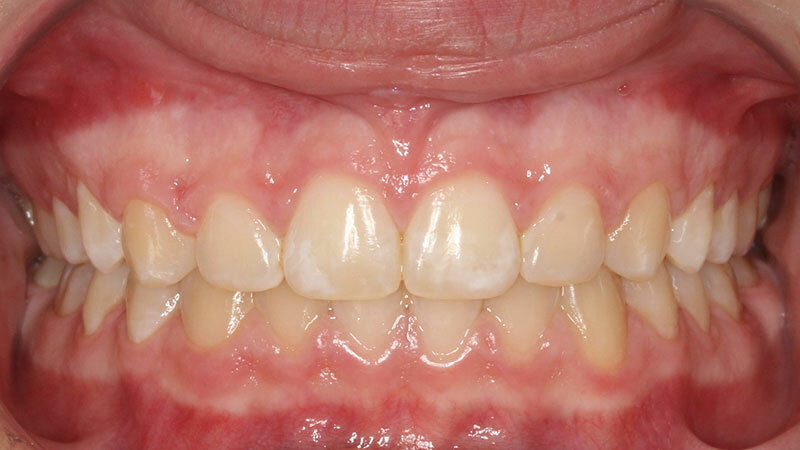 Patient also used a fixed upper biteplate to resolve the deep bite and provide support while moving the upper front teeth into a more balanced position. 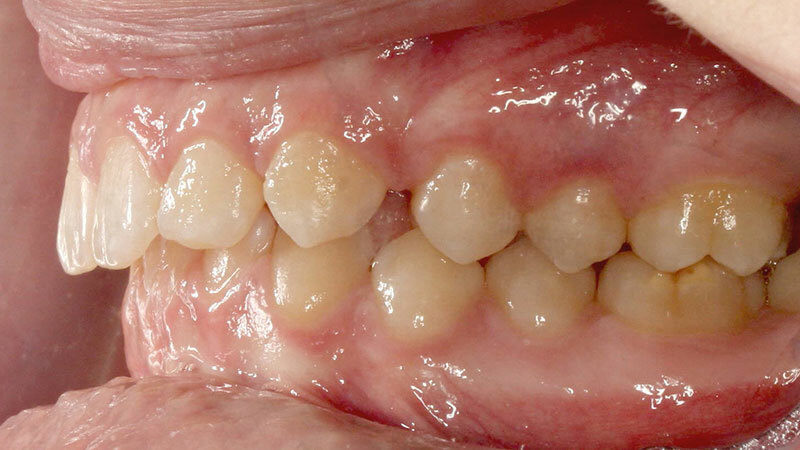 At the end of her 30mo treatment, all concerns were addressed and patient’s lips now touch when relaxed. 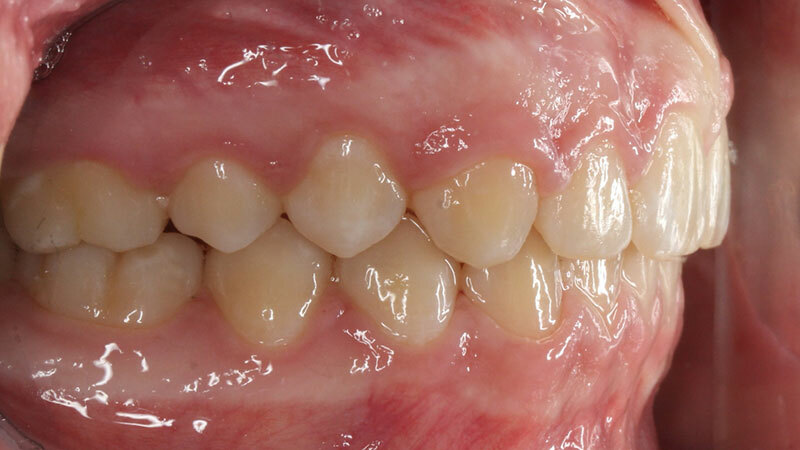 Patient wears an upper removable and lower fixed retainer. 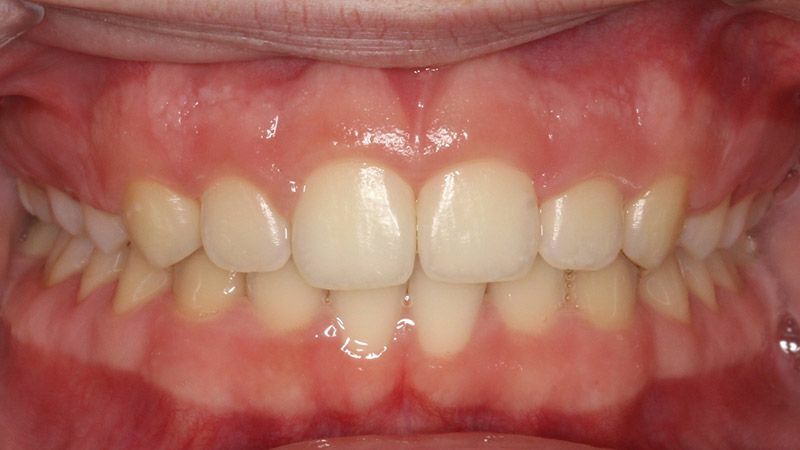 Patient wanted treatment because she did not like her crooked teeth and how her upper and lower teeth did not line up. 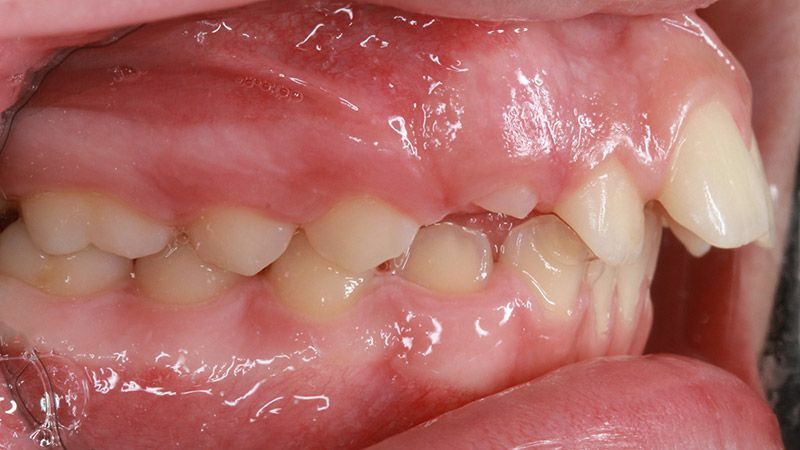 Other concerns upon clinical exam included a deep overbite, mild upper and lower spacing between her teeth, and a crossbite between her upper and lower right premolars. 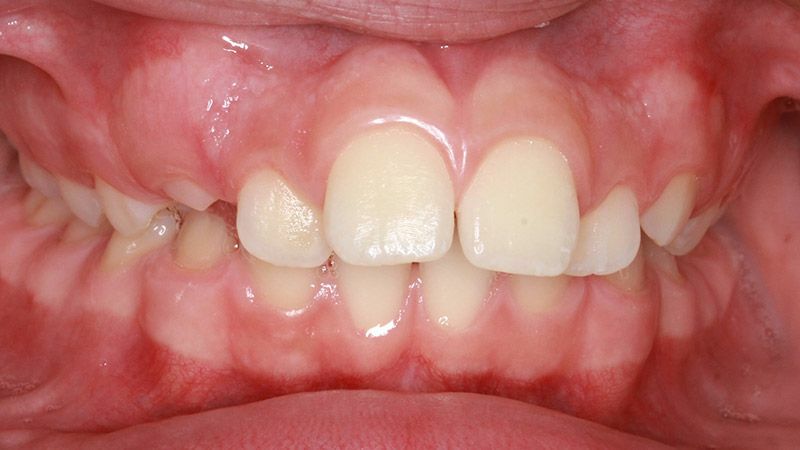 When patient bit down, she also shifted 3mm away from her natural biting motion due to the premolars in crossbite. 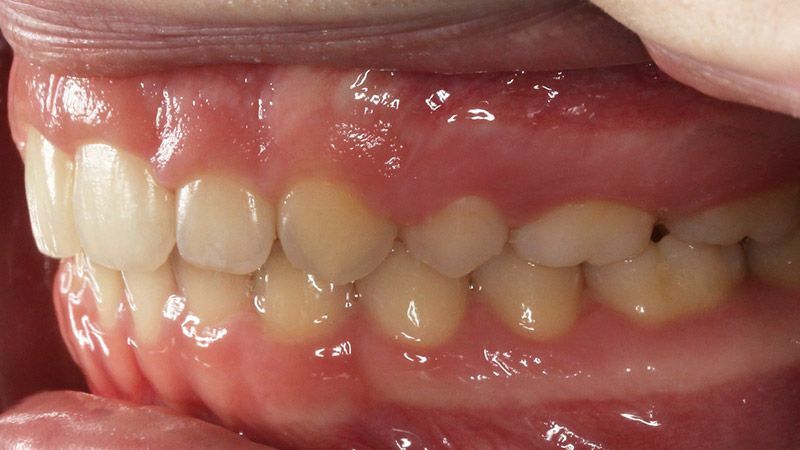 Patient was in treatment for 26mo with braces and a removable biteplate. 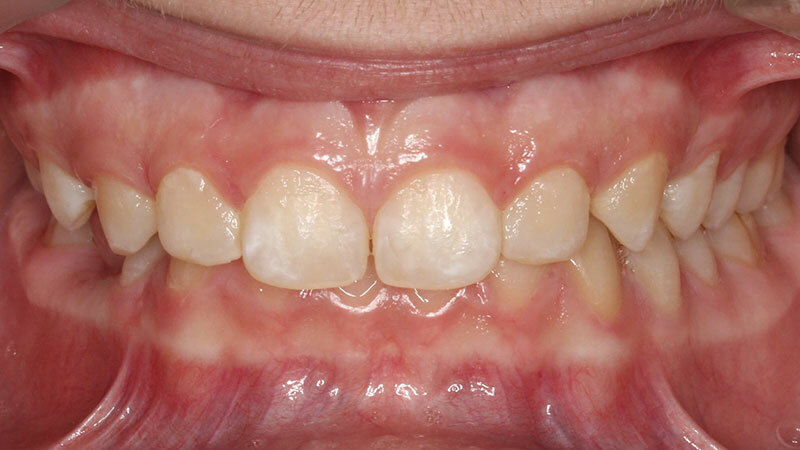 All concerns were resolved at the end of treatment and patient wears upper removable and lower fixed retainers for long term success.